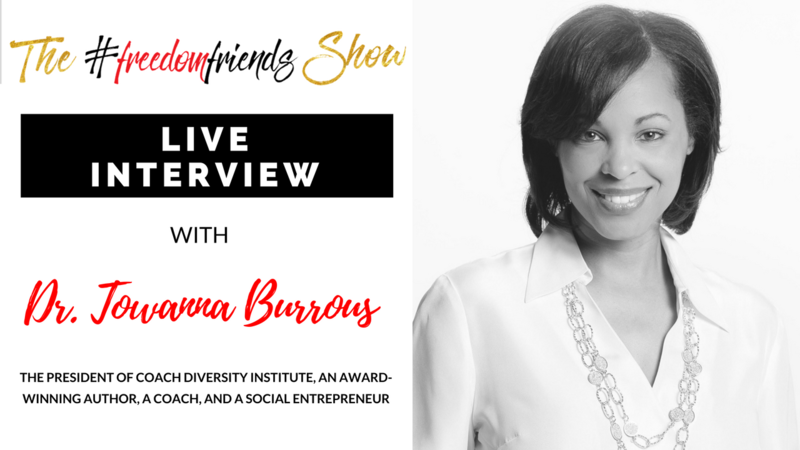 Today we talk to Dr. Towanna Burrous, the President of Coach Diversity Institute, an award-winning author, a coach, and a social entrepreneur. Dr. Burrous and I have the best time to talk about her story of getting involved in coaching, what she’d noticed in the coaching industry, when is the best time for coaching, the importance of communication in coaching, and the things that you need to know about business. Why is career transition coaching important? Dr. Towanna Burrous is an award-winning author, advocate for young women and management consultant based in Washington, DC. As a much sought-after leadership development coach, she helps develop and implement successful corporate leadership, effective team building and the initiation of strategic change. She is a professional coach certified by the International Coach Federation (ICF) and the Institute for Professional Excellence in Coaching and ICF-accredited coaching institute. She received her Bachelor of Science degree from Howard University in Washington, DC. Her real world achievements have earned her a bevy of awards including an honorary doctorate degree and the Department of Army Outstanding Civilian Service Medal. She received her Doctorate in Divinity from Elbon-Solutions College of Ministry. As a successful businessperson, Dr. Burrous knows what it mentally takes running a business instead of taking the safe route working for others. She said that successful entrepreneurs, regardless of age, ethnicity or economic background all share common traits like confidence, determination, organization, self-discipline and flexibility. In 2011, she founded the Black Life Coaches Network, where she leads over 600 professional coaches, counselors and therapists from the United States, Canada, United Kingdom and South Africa. The organization connects and empowers the black community through its premier website, BLCLife.com, which is loaded with informative, quality self-improvement and wellness information to help people become their best self. Today, Dr. Burrous is the President of CoachDiversity Institute, the only coach training program in the world whose mission it is to empower diverse communities through coaching.